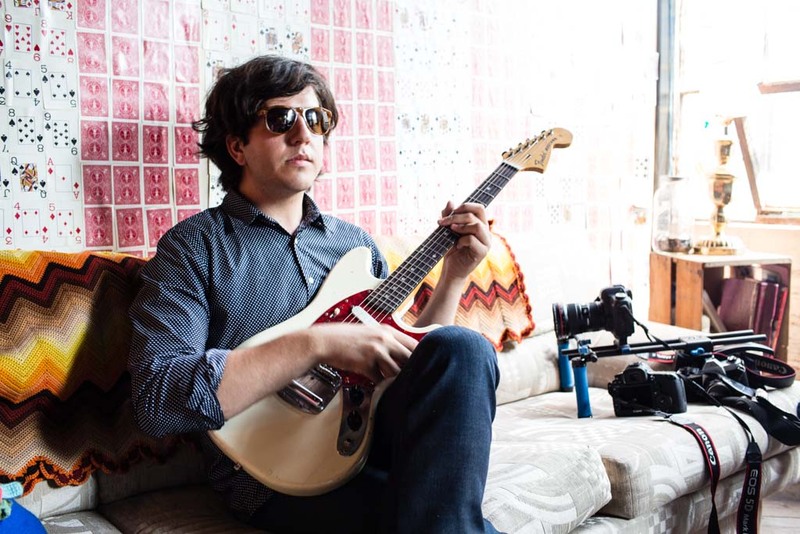 Eric Slick was born in 1987. He started playing drums at the ripe old age of 2. During his teenage years, he studied at the Paul Green School of Rock Music with drummer Tim Karsten. He went to University of the Arts but quickly dropped out because his hands weren't small enough to play light jazz. He began his career in 2006 as the drummer for Frank Zappa tribute act Project/Object. Shortly thereafter, he was swooped up by guitar pioneer/King Crimson member Adrian Belew. They toured the world together with his sister Julie Slick (bass) as the Adrian Belew Power Trio. They hugged each other often. Eric left the group in 2009 to pursue other projects and eventually landed in the Philadelphia group Dr. Dog. Eric also regularly performs with Philadelphia bands such as Springs, Paper Cat, Ape School, Norwegian Arms, and Nightlands. Eric sleeps in 3 and a half hour intervals. Eric has also performed/recorded with Nels Cline (Wilco), Daniel Rossen (Grizzly Bear), R. Stevie Moore, Cass McCombs, Gordon Gano, California Guitar Trio, Bobby Martin (Zappa), Napoleon Murphy Brock, Ike Willis, Jon Anderson (Yes), Eddie Vedder, Ann Wilson (Heart), Mike Keneally, Ween, Crescent Moon, John Wetton (King Crimson), Carlos Alomar (David Bowie), Chris Harford, Matt Vasquez, Ben Kweller, Gary Lucas (Captain Beefheart), Deer Tick, and Andrew Weiss. Eric wishes he could play with Bjork someday, or at least play her in Scrabble. He would likely "SCRABBLE" on a Triple Word Score with the word "OCTOPUS".